A deceptively challenging short hole where the Westerly wind can make two clubs difference in length. 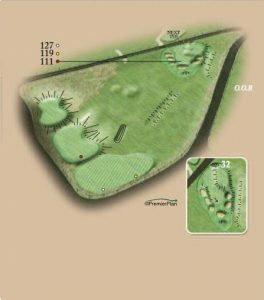 A good mid-iron to a wedge-shaped well bunkered target will still leave you with work to do on the undulating green. OOB across the road.